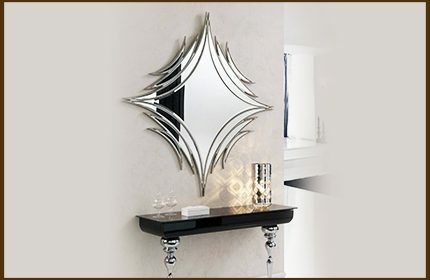 Dressing mirror is a customised product and available up to 6 to 8 ft in size. The thickness varies from 4mm, 5mm, & 6mm. The edges of dressing mirror can be processed as crystal & Bevelled. Designer dressing mirrors are preferred in bedrooms as they compliments with more space and beauty. There are new concepts to adopt the design of the bedroom and to make the dressing mirror as the part of it.